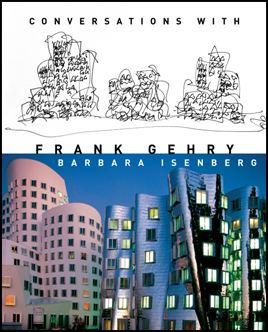 This is the official website for Los Angeles-based journalist and author Barbara Isenberg. Her newest book is the Los Angeles Times best-seller Tradition! 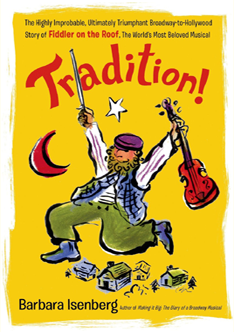 : The Highly Improbable, Ultimately Triumphant Broadway-to-Hollywood Story of Fiddler on the Roof, the World’s Most Beloved Musical from St. Martin’s Press. A long-time contributor to the Los Angeles Times and Time Magazine, she is also the author of Conversations with Frank Gehry, also a Los Angeles Times best-seller, as well as Making It Big: The Diary of a Broadway Musical, and State of the Arts: California Artists Talk About Their Work. From 1983 through 2014, she regularly hosted British Theater Backstage with Barbara Isenberg, a London-based theater program. Also available now is St. Martin’s paperback edition, as well as a new audio edition from L.A. Theatre Works. Both arrived in time for Fiddler on the Roof’s fifth Broadway revival, directed by Bartlett Sher, which will begin its national tour in October, 2018. How did Fiddler on the Roof get its name? Jerome Robbins, the director and choreographer, was very taken with painter Marc Chagall’s many colorful images of violinists. While it is true that the rooftop fiddler of Chagall’s paintings led to the show’s title, that took a while. Playwright Joseph Stein’s first draft, dated October 17, 1961, was called The Old Country. When the show was first announced in the New York Times on August 20, 1962, Times writer Sam Zolotow said it was a new musical, “tentatively named Tevye.” The title Stein’s son Harry Stein remembered best: Not So Long Ago, Not So Far Away.